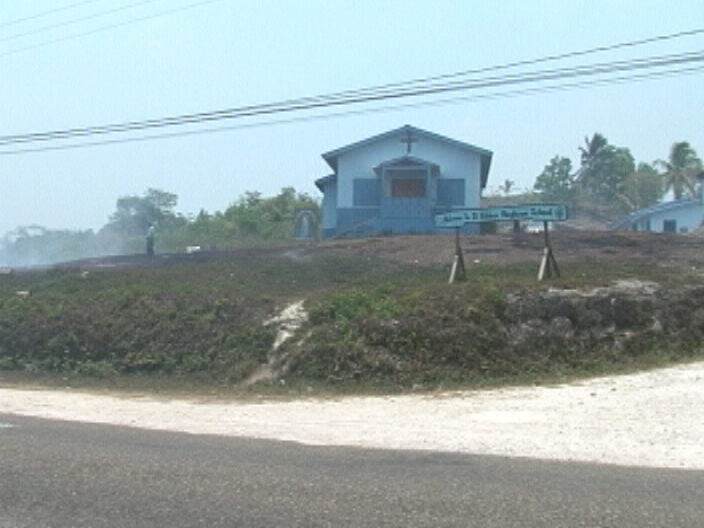 Residents of the twin towns of Santa Elena and San Ignacio, and even as far as Belmopan, have been complaining for weeks now about the smoke which seems to permeate everything. 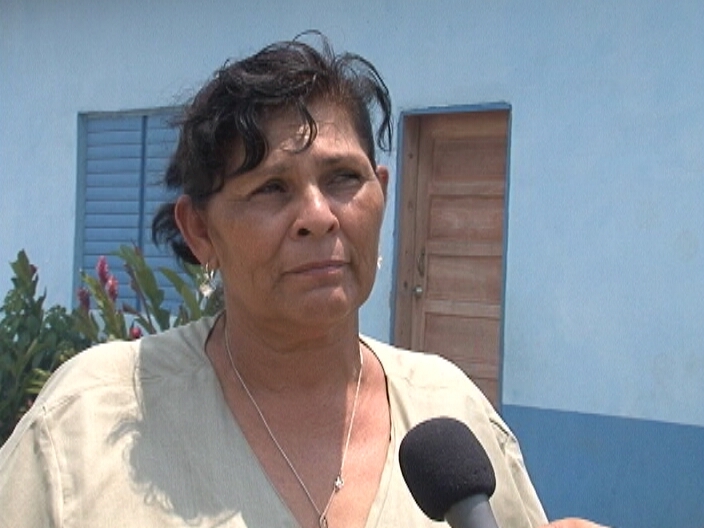 But for one school in Georgeville in the Cayo District, the situation is a lot more serious. The school is built on a hill on the roadside, which means that there is nowhere for students to have any sort of recreation. Three years ago they received an offer of sawdust to use as landfill to level the ground, and it seemed to be heaven sent. The offer was genuine and the intention by the school’s administration was good. But the road to hell is paved with good intentions, or so they say. Mike Rudon was at the school today and has the story. Three years ago the sawdust used to level the ground of St. Hilda’s School seemed like a great idea, but today it’s not looking so good. 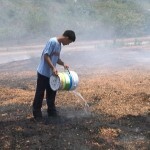 When we arrived at the school we found students hard at work trying to extinguish fires on their compound, or at least trying to do something to make a really bad situation a little better. 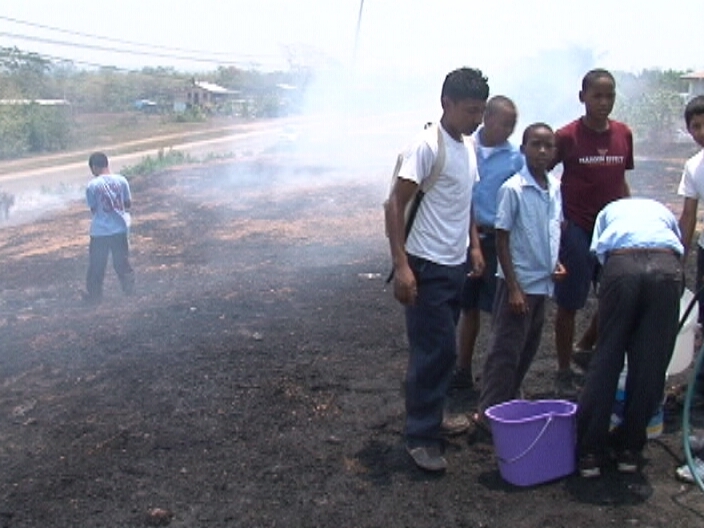 There are approximately four hundred students in the school, and for the past three weeks they have been forced to endure these conditions…heavy smoke filling their classrooms from the sawdust which caught fire three weeks ago and is still burning. 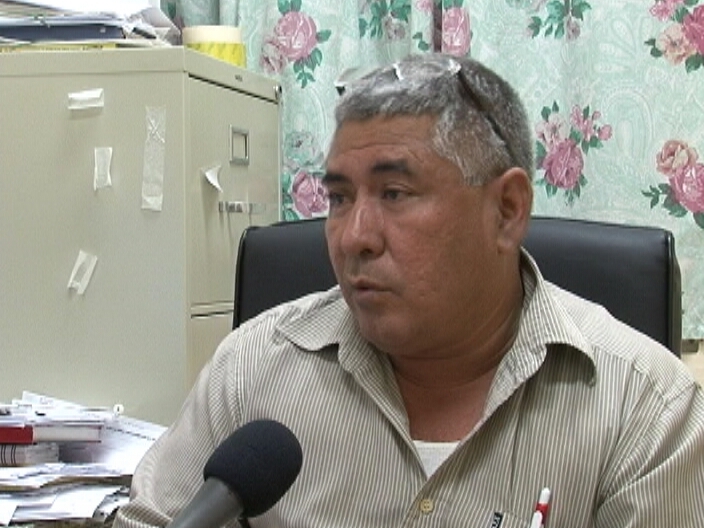 The Fire Department has done as much as it can, and so have these students, but their cries for help from Area Representative Rene Montero, who is also the Minister of Works, have fallen on deaf ears. According to Guerra, some students have been forced to stay home because of the heavy smoke blanketing the school. Chief of Staff at the San Ignacio Hospital told us that there is no doubt that the health of the students will suffer from the smoke. We left students frantically trying to put out the fires which got worse while we were at the school. Guerra says that if they get no help, they may have to close the school for now. Mike Rudon for News Five. When we passed the school this evening on the way back from San Ignacio, the school was completely obscured by smoke, invisible from the highway. If we had a Minister of Health, he could investigate and save the situation here. It’s wrong to force children to become sick in order to get an education. The community should be protesting to the elected leaders. EVERYDAY FIRES IN AND ALL AROUND THE CITY, BUT POLICE DOES NOT A THING ABOUT THAT !!! 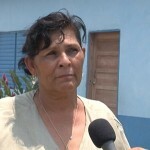 Rene Montero won the elections, now that the people need his help, he has gone hidding. 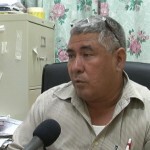 @raul guevara, if you re-read the first two items about the BDF soldier stabbed in Barbados, you’d see that Rene Montero was there! 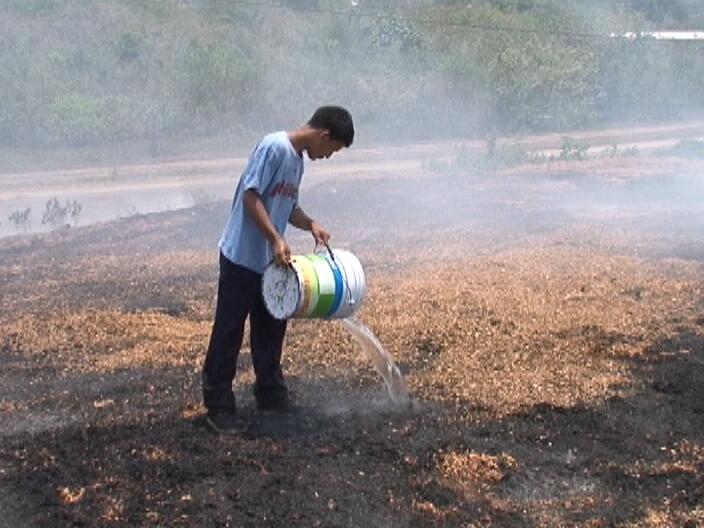 Looking back, it doesn’t seem so smart to have used a flammable material — WOOD SAWDUST! — as landfill surrounding a schoolhouse. I can’t imagine that’s ever a wise choice, since it will always be wood, waiting to burn.